Your skin has most likely given you a few beauty highs – like that bridal glow on your wedding day – and surely a few lows – remember those teenage blemishes or that first fine line? With the decades that have passed and all the changes, ups and downs, your skin has experienced you’ve learned a few things worth noting. 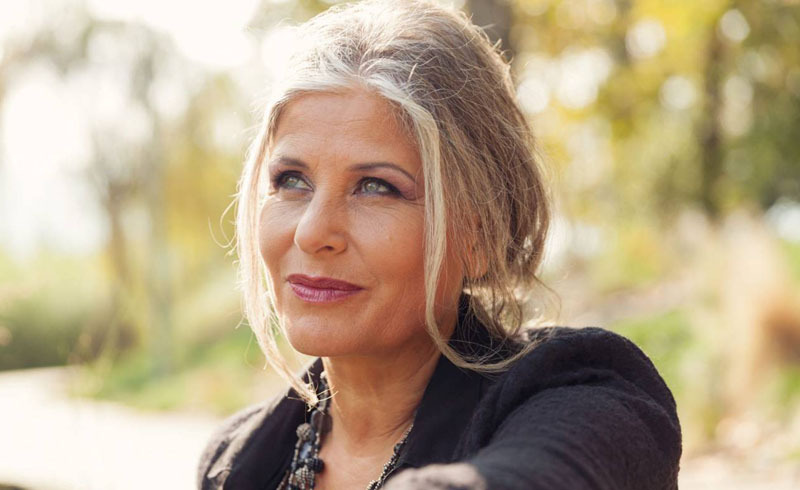 When you are in your 50s the skincare wisdom you have gained throughout your life will help you make better choices and maintain your best, most beautiful skin. SPF is your skin’s best friend. You may have spent your younger years basking in the sun’s glow sans any sun protection – but hopefully you’ve learned by now that not applying SPF is easily the worst things you can do to your skin. The sun’s UVA rays can deeply penetrate your skin, damaging your skin cells and weakening your skin’s natural collagen and elastin production. You now know, that preserving those natural fibers and keeping skin strong is an essential component of any anti-aging effort. You’ve also most likely realized that a tan will fade and that your skin’s integrity is more worthwhile. Beautiful skin is healthy skin and that rings true at any age – thankfully you can believe in this sentiment wholeheartedly now. Look for a daily moisturizer with SPF or apply Age Perfect® Hydra-Nutrition – Facial Oil SPF 30 after your regular moisturizer to seal in all of the anti-aging ingredients from your moisturizer and to protect your skin from the sun and free radical damage. Hydration is everything. Once you reach age 50 your skin’s natural oil producing glands will decrease in production. This means that even if you had oily skin for most of your life, you may now be experiencing dryness. Dry skin can be uncomfortable and can be distracting from your otherwise beautiful skin. Replenishing your mature skin with moisture and helping it maintain that moisture is important when it comes to making your skin look and feel its best. Looks for day and night creams and serums with hyaluronic acid. This anti-aging ingredient surges the skin with moisture and helps it retain hydration for longer periods of time. Try Revitalift® Daily Volumizing Moisturizer that is infused with a high dose of hyaluronic acid to help boost your skin’s natural moisture retention. Wrinkles will happen. That being said, you also know that you can lessen their appearance with the help of a few anti-aging skin care products and ingredients. Hyaluronic acid can also help visibly reduce the look of fine lines and wrinkles. Serums are a great anti-aging skin care product – as they allow highly concentrated ingredients to penetrate the skin deeply and quickly. RevitaLift® Triple Power™ Concentrated Serum visibly reduces the look of wrinkles in just four weeks, it also can help improve mature skin’s tone and texture. Gravity can be fought. In your 50s you may notice that your skin seems less dense, thinner and has started to sag. You may also notice that some habits can worsen these common signs of skin aging. Repetitive facial movements, applying your skin care products in dragging; downward motions and regular sun exposure can all be contributing factors to thinning, sagging skin. Getting in the habit of gently applying your creams and serums in upward motions can help, so can gravity fighting ingredients like calcium – which keeps skin strong and firm. Look for a day and night cream like, Age Perfect® Hydra-Nutrition – Day/Night Cream, that is formulating with anti-sagging power. Less can be more when it comes to makeup. Caking on makeup should have become a thing of the past by now. Heavy foundations and powders can set in fine lines and wrinkles making them appear more obvious. Besides, your mature skin doesn’t need all of the cover up you used to use in your teen and early adult years – it’s beautiful on its own so enhance it’s beauty instead of hiding it. Moisturize your lips and eye area before applying makeup so that the dry areas are hydrated. Your makeup will be less likely to crease if the areas are moisturized. Look for tinted moisturizers in place of heavy foundations and avoid pressed powders – instead look for loose powder options. Embrace your mature skin and share your valuable skin care wisdom with others – surely your friends and family will want to know how you’ve maintained such beautiful skin throughout the years.